These fish can be found in many places including the local beaches, bridges, passes and artificial reefs in Tampa Bay. Tarpon are a schooling fish so often found in large numbers migrating north along the beaches in the summer months. Some of my favorite baits to catch these monsters are Pinfish, Scaled Sardines, Threadfin Hearing and Crabs. They can also be caught using dead bait soaked on the bottom such as Shad, Ladyfish and Mullet. YACHTFISH Fishing Charters out of St Pete will begin running Tarpon Fishing Charters the beginning of May and run through late September. 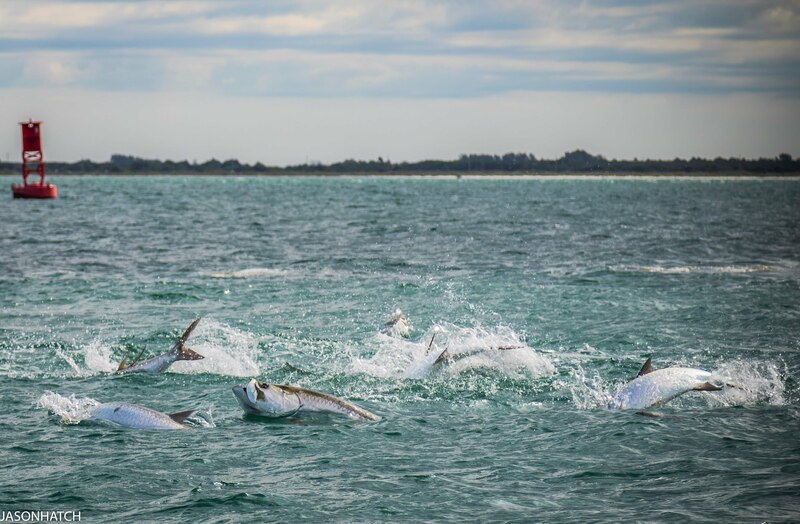 The best time to target Tarpon is normally in the early morning hours sight fishing along the beaches or in the late afternoon when the sun is setting. Tarpon are a catch and release fish only and are of no edible value so need to be released unharmed to be caught another day. Book your Tarpon Fishing Charter with YACHTFISH today! 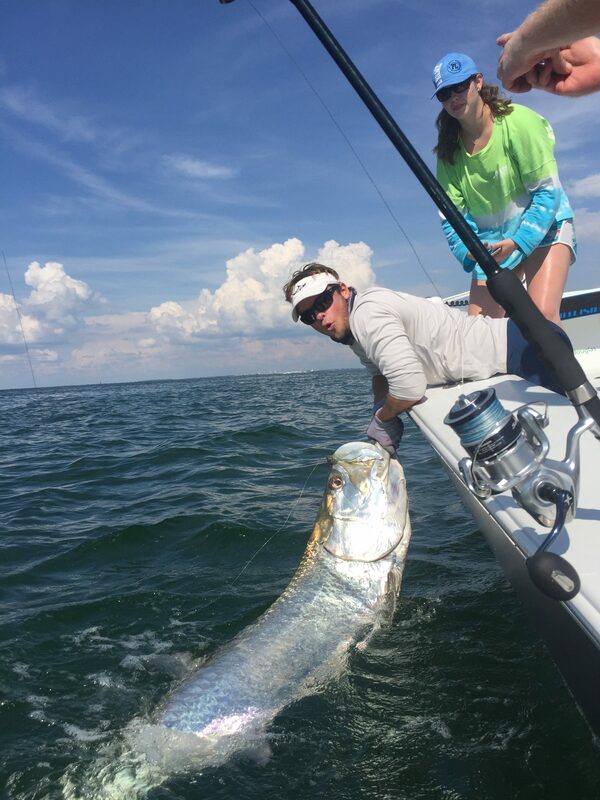 YACHTFISH Fishing Charters provides top rated Tarpon Fishing Charters for all ages and experiences in Saint Petersburg, Clearwater and Tampa Bay. As the 2018 Tarpon season is approaching very rapidly we encourage you to book a trip of a lifetime with YACHTFISH Fishing Charters and knock the species off your bucket list! To book your next Tarpon Fishing Trip in Saint Petersburg with YACHTFISH Fishing Charters you can visit our website and Book Now or CALL or TEXT 727-433-4200 today!